In what city is it possible to cross 400 bridges in one day? Yes, only in Venice! 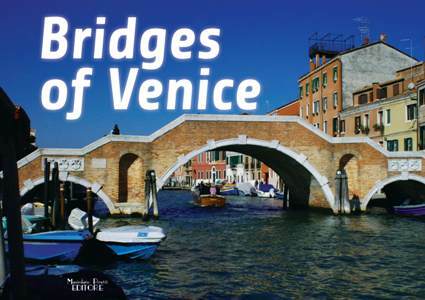 This remarkable book presents you a lot of very beautiful bridges of Venice. Bridges how they actually look like: without photoshop, graphics and additional processing - exactly the same as you saw them and remember. Bridges made of wood, stone, brick and metal; of different form, size, height and length; black, white, brown... handrail and steps, patterns and style... - remember the bridges on which you walked.Let this book be your main memorable about the bridges you crossed in Venice!